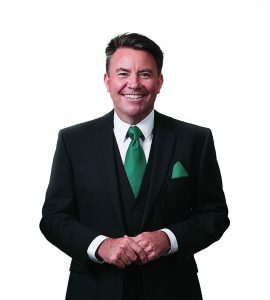 I would like to welcome you to the Auckland chapter of the National Speakers Association of New Zealand. The Auckland Chapter is the largest chapter in New Zealand and made up of many proven and experienced conference keynote speakers, MC’s, trainers, coaches, authors, and facilitators, who help support and lead our speaking and training industry. As professionals, we put a high value on professional ethics, standards, and skill development to as a way of supporting our members to help create their opportunity in the national and global market place. NSANZ is the perfect organisation to provide you with the tools, and expertise to develop your career as a speaker and trainer. We truly welcome all newcomers to NSANZ – regardless of where you are in the development of your speaking career, being part of this supportive and driven organization is what will provide your business with opportunity every month. Our monthly meetings are evenings of fun and learning, networking, and sharing. There is always something new to learn, regardless of how experienced you are and NSANZ seeks to provide you with local and international speakers, experts in their industry and technology gurus to help you develop your business. Our meetings are generally held on the last Tuesday of the month, at Quality Hotel Parnell, 10-20 Gladstone Road, Parnell, 1052 Auckland, New Zealand. We meet at 7pm for networking prior to the meeting starting promptly at 7.30pm. We usually finishing around 9 or 9.30pm. On the second Saturday, from 9:30 am until 12:30pm, we have a facilitated mastermind meeting where we tackle subjects surrounding the topics of Building Your Business. This is your chance to come armed with your questions, as well as bringing your experiences to the table. As they say, it takes a village to raise a child – well, it takes a tribe to raise a speaker! Our special offer to you is that if you are wanting to visit our meeting for the first time, please come as my guest, free of charge. Please have a look at the Events page on the website or simply drop me an email at darren@darrenpratley.com. And we will ensure you are registered for that meeting.